Canadensys Aerospace awarded contract to support new CSA small rover prototype development | Canadensys Aerospace Corp.
TORONTO, ON / 12 JANUARY 2015 – Canadensys Aerospace has been contracted by Ontario Drive & Gear to support the development of a small-class planetary rover prototype platform for the Canadian Space Agency (CSA). The Small Planetary Rover Platform prototype (SPRP) is a small rover platform being developed for the CSA to support a range of preparatory activities related to exploration of the surface of the Moon and Mars with a smaller class of vehicle. 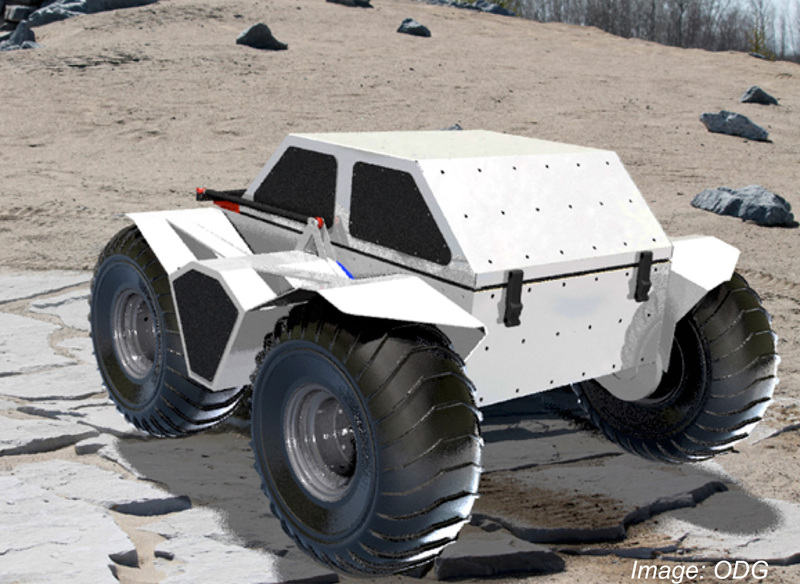 The SPRP project runs closely in parallel with the larger TRL6-focused Lunar Rover Platform Drivetrain Prototype (LRPDP) and similar to that project, Canadensys’ area of responsibility is on path-to-flight design aspects of the prototype project. “The role of small systems in exploration is a key area of focus for Canadensys, and CSA’s SPRP project represents an exciting new addition to CSA’s rover fleet. It is a very interesting size category for several medium term scenarios, and we look forward to supporting its development and future utilization. We are very pleased to continue our collaboration with ODG, Provectus Robotics, and Centre des Technologies Avancées (CTA), again supporting in the development towards flight readiness”. For additional information about the Canadian Space Agency and the SPRP project, click here.